Everyone knows that new windows and doors can help improve your home's overall energy efficiency. With the rising costs of energy prices, installing new energy efficient windows and doors may be at the top of your priority list this year. When deciding on a manufacturer for your new window installation, be sure to investigate their energy efficiency rating and look for the Energy Star-qualified seal. An ENERGY STAR rating is your assurance that windows and doors will deliver effective thermal performance in your climate zone. Your new window installation should meet strict criteria set forth by the EPA and be ENERGY STAR-qualified. Also, be sure to check the R-value and U-value ratings of the window and/or door. R-value is the resistance a material has to heat flow. The higher the R-value, the better the resistance. U-value is the amount of heat transferred through a material. The lower the U-value, the better the insulating quality. When shopping for windows (or doors), look for higher R-values and lower U-values for the most energy-efficient products possible. We offer payment plans to meet every household budget. Ask about our 12-Month No Interest and low-interest fixed payment plans. All of our installations come with Workmanship Warranties – in writing! Our mechanic specializes in window and door installations and adheres to best practice guidelines followed throughout the industry. Our mechanic works cleanly and efficiently so as to limit the disruption to you and your family. When you team up with MW Roofing LLC, you can be sure that we will work for you and with you from start to finish. When you meet with our consultant, you will immediately notice the difference and realize that all salespeople are not alike. We take the time to explain in depth all of the different product styles, available options and the installation process so that you are fully informed on what it is you are actually purchasing. We will never employ high-pressure sales tactics. Our estimates are always free with no obligation. 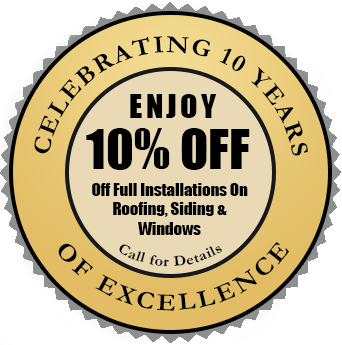 We are fully licensed, bonded and insured In Wilmington, DE, and the surrounding areas, give us a call today for a free consultation!